Should Michael Bisping Get a Title Shot if He Beats Vitor Belfort? Michael Bisping (23-4) thinks that a win over Vitor Belfort (21-10) will finally put him in place for a shot at the middleweight championship. "If I beat Vitor Belfort, I think there&apos;s no question that I&apos;m the No. 1 contender," said Bisping on The MMA Hour. "And I&apos;m willing to put my money where my mouth is. I think I deserve it. If I beat Vitor, I deserve it. If I don&apos;t beat him, then I don&apos;t deserve to be in a title fight anyway." 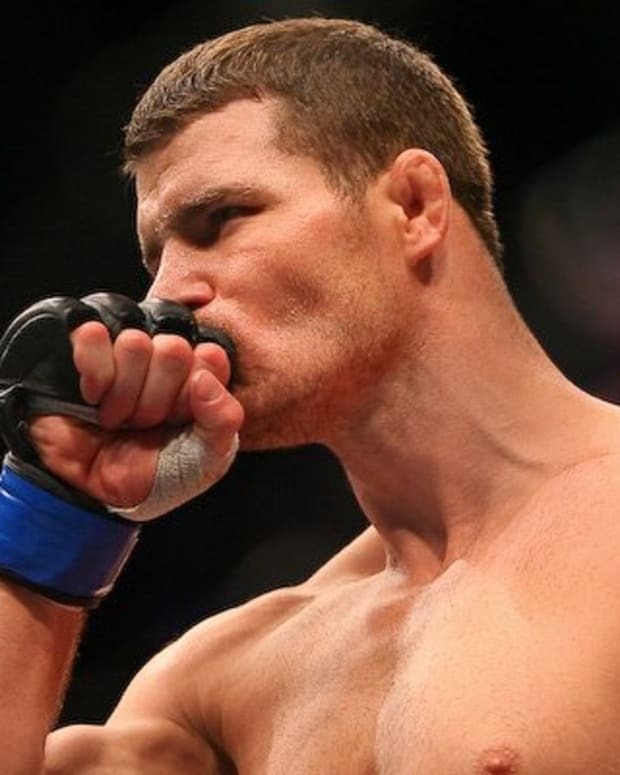 Bisping has been vocal as of late for never being granted a title shot. After winning The Ultimate Fighter in 2006, Bisping would win another three fights before tasting his first UFC loss. Following this loss he dropped down to a middleweight. His overall UFC record is 13-4. At the start of the year, Bisping lost in a title eliminator fight snapping his four fight win streak. Belfort enters the fight after losing in late September to Jon Jones (17-1) for the light heavyweight championship. "In my opinion, the hardest fight in the 185 [pound] division, other than Anderson Silva, is Vitor Belfort," said Bisping. Bisping vs. Belfort are slated to headline the UFC&apos;s return to Brazil on January 19. They will compete at UFC on FX 7.